The ‘evolutionization’ of a society always leads to a tendency to downgrade the value of human life while elevating that of animals. Thus, many of those who get distressed when horses are humanely killed for food see no problem when a person with Down’s syndrome is killed in their mother’s womb, as 9 out of 10 are these days—despite waiting lists for adoption of these delightful children. We may not have actual ‘golden calves’ in the western hemisphere, but animal worship is still prevalent today. The inappropriate exaltation of animals first began, in a sense, in the Garden of Eden when Eve chose to believe the words of the serpent and disobey the commandment of God. Since the first sin, generations have willfully forgotten their Creator and worshiped the creature(s) instead (Romans 1:25). Probably everyone has had some animal make life a little brighter. But not all of us want to address whether ‘good’ animals go to Heaven or not. Just what does the Bible say concerning man and animal coexistence here on earth and eternal life beyond? When the animals were created on the sixth day of the creation week, God was pleased with what He had done. He pronounced His work, ‘good’ (Genesis 1:25). In Revelation 4:11, we read that God created all things for His pleasure. Animals were not given the distinction of being created in God’s image. you have put all things under his feet’. Many animals today need management and even human intervention to survive. The Hebrew words used to describe man’s preeminence over animals in Genesis 1:28 and Psalm 8:6 are radah, kabash and mashal. radah (רדה) means ‘to bring under one’s control for one’s advantage’. Throughout the Old Testament, radah is used to describe the word ‘dominion’ eight times.1 It can mean ‘tread down’ or ‘subjugate, but it is is also used in describing Christ’s dominion over the earth (Numbers 24:19) and Solomon’s rule over his kingdom (1 Kings 4:24). Therefore its meaning is compatible with benevolent rule, and since God issued the Dominion Mandate before the Fall, it must have been benevolent. kabash (כבש) or ‘subdue’. Once again, there is nothing intrinsically harsh about the word itself. Micah 7:19 states that subduing (kabash) our sins is a sign of God’s compassion. So whether the word means something benign or malign depends on context. We can clearly see we were created as ‘kings’ of a ‘kingdom’ with ‘subjects’ to oversee. In following God’s design and purpose for men and women, we are to reign and have power over our animals. But this power does not condone causing an animal to suffer. Proverbs 12:10a says that a righteous man will care for the needs of his animal. Note the contrast between the two words bolded for emphasis. The word for ‘spirit’ here is the Hebrew rûach (רוח) meaning wind; spirit; sensible. It can be used of sentient animals (as in Genesis 6:17). But its use here is clearly intended to show that, just as there is a difference between man and God, there is also a profound difference between horses and people. It is crucial to remember that God Himself was the first to slaughter an animal in order to clothe Adam and Eve after they had sinned. It is crucial to remember that God Himself was the first to slaughter an animal in order to clothe Adam and Eve after they had sinned. In Genesis 3:21, ‘ôr (עור) is the Hebrew word describing the ‘skin’ from which the first clothes were made. ‘ôr is used over a hundred times in Scripture to reference leather or hide. In Old Testament Law found in Leviticus and Deuteronomy, God institutes the extensive protocol of animal sacrifice. In this same law, the Lord decrees the criminal penalties for homicide and human sacrifice. Christ was the ultimate sacrifice and by His death, conquered sin that through Him the human race might obtain eternal salvation from death and separation from God. Because of Christ, the Perfect Lamb (1 Corinthians 5:7), we no longer have to sacrifice animals—the sin penalty is paid in full (Hebrews 7:27, 9:12). We have a sober responsibility to be good and kind stewards of the animals under our care. However, it is so important to keep these creatures in their proper place in our affections. God never intended for man to worship animals by giving them human characteristics or honoring them above other human beings. The Bible tells us that, in eternity, Christians will live in continual bliss where there is no sin or death (Revelation 21:4). Scripture also declares that the Creator will create a new Heaven and new Earth (Revelation 21:1). Will God recreate new animals in Heaven? The Bible doesn’t tell us, and animals are not mentioned. (The well-known passages in Isaiah 11 and 65 about herbivorous lions, and wolves and lambs coexisting peacefully, must refer to a period of partial restoration prior to the New Heavens and Earth, because the description still refers to death of people, even though at a very ripe old age.) But as Christians, we can trust that being united with Christ Jesus will completely satisfy those who love God first in their hearts. In the United States, political legislation and lobbies are working militantly to stop equine slaughter. In 2007, their efforts succeeded in closing down the three horse slaughter plants located in the US (one located in Illinois and two in Texas). The Horse Protection Act (H.R. 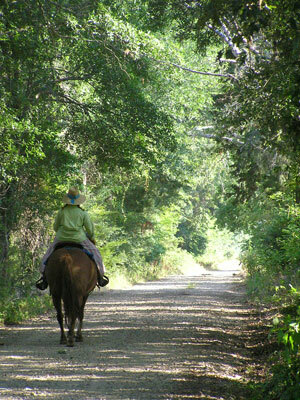 503; S 311) and Prevention of Equine Cruelty Act of 2008 (H.R. 6598) are currently waiting for U.S. Congress approval to redefine horse slaughter and the exportation for slaughter as a federal crime. Horse conservationists write that it is an ‘American disgrace’1 to eat an icon of American freedom and the ‘betrayal’ of an ally. It is a bit ironic that many who oppose horse slaughter suggest that the wild cattle population in the United States should be lessened to make more room for unwanted or wild horses.3 Allowing emotion to decide which animal species ‘should and shouldn’t be’ slaughtered can impede sound reasoning. ‘The Wild Horse is Us,’ Newsweek, http://www.newsweek.com/id/144279, 3 August 2008. ‘U.S. horse slaughter exports to Mexico increase 312%: Despite American plant closures, slaughter continues across the border,’ Javma News, American Veterinarian Medical Association, www.avma.org/onlnews/javma/jan08/080115a.asp, 3 August 2008. 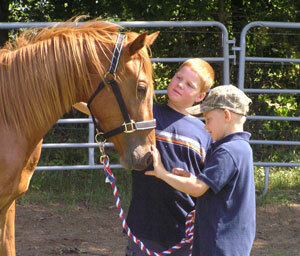 ‘Veterinary Group Opposes New Slaughter Legislation,’ The Horse, http://www.thehorse.com/PrintArticle.aspx?ID=12399, 4 August 2008. Dr Mark Lutschaunig, director of the AVMA Governmental Relations Division, Reference 4. In the Bible, there are only two references to animals ‘speaking’: first, the serpent that deceived Eve and second, Balaam’s donkey. Scripture tells us that God cursed the serpent (Genesis 3:14–15). This curse equates to the curse on Satan, which suggests that Satan spoke through the serpent. Balaam’s donkey spoke because, ‘the Lord opened the mouth of the donkey … ’ (Numbers 22:28) Does this prove animals are spirit beings? No. God also spoke to Moses out of the midst of a burning bush (Exodus 3:4).3 These acts did not immortalize bushes or donkeys or serpents; instead, such references point to the God of the Bible’s omnipotent abilities. Concerning psychic animal communication, the Bible strictly teaches that all occult practices are an abomination to God (Deuteronomy 18:10–13). Interspecies Telepathic Communicator, http://www.animaltalk.net/meet.htm, 20 July 2008. Palsha, Jacquline, ‘Reading Paint: Animal Communicators Allow Horse Owners To Tap Into A Whole New World’ The Paint Horse Journal, June 2004. Though nothing was stated about the bush vocalizing, of course. Cecil the lion: should we care? Gen. 1:26; Gen 1:28; Num. 24:19; 1 K. 4:24; Judges 5:13; Neh. 9:28; Ps. 49:4; Ps. 72:8 Return to text. Gen. 37:8; Judges 14:4; Neh. 9:37; Job 25:2; Ps. 8:6; Ps. 19:13; Dan. 11:5 Return to text.